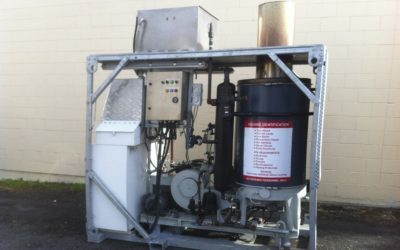 16HP Steam Generator Output 159Kw/hr. Power supply: has a 32 amp 4 pin PDL 56 series plug 15mm steam outlet connection 15mm water inlet Fuel consumption approx. 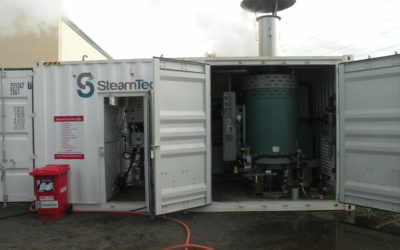 18l/phr This is a compact mobile steam generator, 1.2m x .8m x 2.4m high. 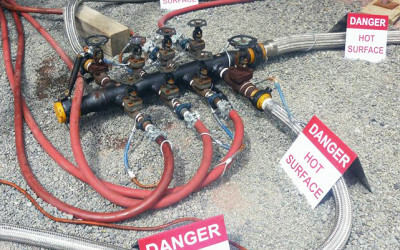 Steam hoses We have a range of steam hoses 20mm 15m – 30m long 25mm 7.5m – 15m 32mm 15m 40mm 7.5m – 20m 50mm 10m 75mm 3m – 10m Temporary steam header 75mm 3m – 60m, comes in 3m sections. 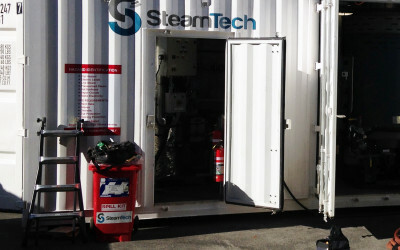 Steamtech has a range of fuel cells for hire 2000l fully bunded transportable enviro cube with electric fuel pump and 15m retractable filler hose. 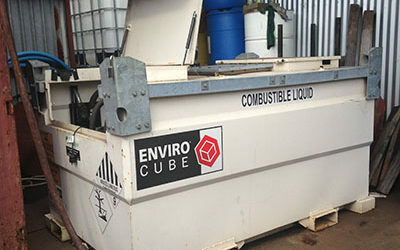 3000l fully bunded transportable enviro cube with electric fuel pump and 15m retractable filler hose. 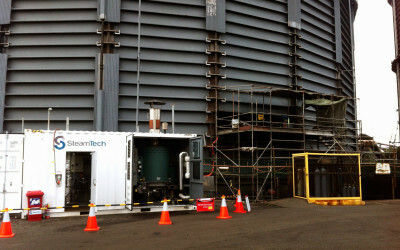 Because everything had been meticulously trialed and tested beforehand, there were no surprises when Steamtech arrived on site. 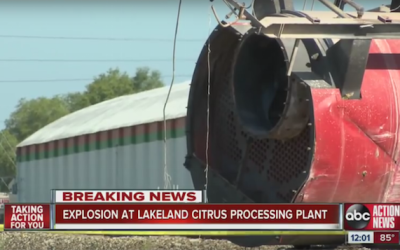 They concluded this critical operation safely and swiftly and without a hitch. 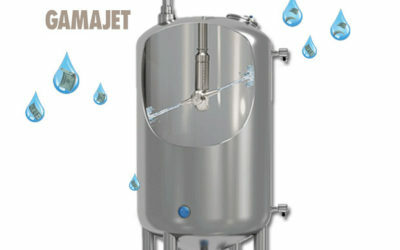 The major causes of Boiler Explosions are fuel detonation or when the water levels are allowed to get dangerously low.